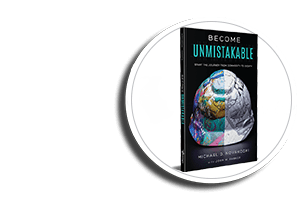 Join Terryberry as they host Mike Novakoski, author of the Become Unmistakable: Start the Journey from Commodity to Oddity as he tells the story of how a decision to focus on employees put his company, Elzinga & Volkers Construction on a 10-year path to becoming an unmistakable business. He will share specific strategies, inspirational stories and lessons learned along the journey to Become Unmistakable. Participants will hear how Elzinga & Volkers Construction applied the Unmistakable approach to develop a “virtual employee waiting room”, how they achieved local, regional and national recognition, how they became contractor of the year, and how they amassed an unbelievable 11+ year spotless safety record. The approach can apply to any organization in any industry. This webinar qualifies for HRCI, CPHR, SHRM and WorldatWork recertification.